A recent letter in my favorite Lexington morning paper expressed an opinion almost totally devoid of any factual basis, but one, I suspect, a lot of people share. It’s about Gitmo, and the suspected terrorist we hold there—and have for the last dozen years. First, almost none, if any, of them have been “convicted”, that is, had a trial with evidence presented, their side heard, and a verdict rendered. These people are all “suspect” and their actual trials may be years away..except for a few who have been found “innocent”, that is, the military and other US government agencies which brought them to our Cuban base have decided, after years of looking into their cases, there was a “rush to judgment” and these people actually are NOT terrorists. Problem is, in many cases, they can not return to their homelands. New governments there, old political and tribal feuds, etc would place their lives in serious dangers, and the US doesn’t want to make a second mistake. So these “innocents” languish there and have for YEARS while the US tries to find new homes for them Once in a while a little US diplomatic arm bending (likely infused with promises of aid and/or cash to these governments) and there’s a strange agreement whereby people from the boonies of Asia end up in Uruguay, or Samoa or someplace just like the home they knew in Afghanistan or Iraq!! Hey, , at least it’s better than a barbed wire prison cell..or so the US thinks. (What these “innocents” think we seldom hear because our government puts serious restrictions on their attorneys, if any, or social workers, and reporters who may talk with them. And yes, after several years some of those cleared do find their way home, and pay back the US for a dozen years of prison life at Gitmo by actually, now, becoming terrorists Surprise! Gitmo and the whole premise behind it may be worse that water boarding in the secret prisons of our “rendition” program. It is a blight on the American system of justice and the fair Play most Americans think this country represents. But to compare those few released with the terrorists of the Charlie Hebro tragedy, as the local letter did, is just plain wrong. Gitmo’s prison and the people being held there should never have happened. But it’s continuation, year after year, is even worse. Those now there deserve “speedy trials”. (Have you heard that phrase before?) Those found guilty should be jailed; those found innocent should be compensated and set free. This blight needs to end..but only after it is a major point of debate in the 2016 presidential campaign. JE SUIS CHARLIE. JE SUIS AHMED! France has gone thru a nightmare, a tragedy these past few days---which we need to understand and support her. But let’s be clear. That magazine is way, way over the top for America and our political correctness these days. It couldn’t be sold on the UK campus, and its editors probably wouldn’t be invited to speak to any journalism class. Do you think Joel Pett could have a cartoon published in the Herald-Leader in which he drew Jesus in a pornographic situation? But that is exactly what Charlie has done, often, for the Prophet Mohammed. Maybe that explains the firebombing of its offices two years ago. France is more tolerant of such over-the-top journalism. It was one of her great philosophers, Voltaire, who said "I don’t agree with you, but I will defend, with my life, your right to say it.” That is the truest spirit of free speech and free press…and it is the extremists who most often challenge us to keep on with that support. But, drawing extreme cartoons and spouting unpopular expressions is one thing..killing people for their views is quite another. And it is here that the political extremists like the radical Muslims cross the line..as do many religious fundamentalists,. Including some supposedly Christian sects. Let us remember...as the killers left Charlie’s offices, one of them spotted a wounded policeman on the sidewalk, and killed him, execution style. 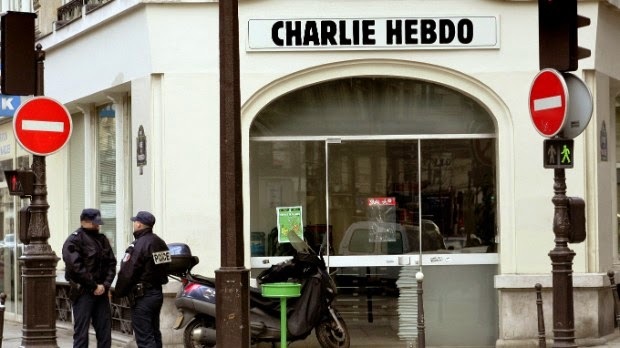 That cop was a Muslim, his name was Ahmed—doing his job to protect the cartoonists and people of Paris. In the later shootout at the kosher grocery in Paris, a black Muslim store clerk, hid a dozen customers in a walk-in cooler, risking his life for them. Before we condemn all Muslims let us remember these people..and the chilling example of a young girl who wanted nothing but to go to school..before the Taliban got on her school bus and shot her in the head. Yes, Malala, of Nobel Peace Prize fame, is a Muslim, too. Je Suis Charlie, Je Suis Ahmed, Je suit Voltaire. WHAT DO YOU MEAN: OUR LONGEST WAR IS OVER??? 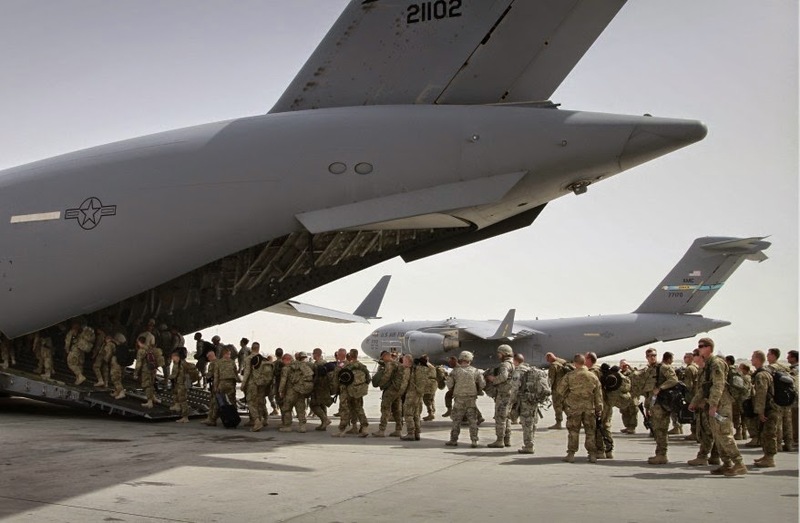 There were many news reports last week, as the US handed over more control of the war in Afghanistan that “our longest war” was over. NOT true—at least not in my perspective. First, Ten thousand or more troops remain..and if there’s a “surge” by the Taliban, or if ISIS moves into that country, stand by for many calls for more “boots on the ground” again. ..as we will hear if ISIS forces in Syria and Iraq seem to be winning. We should never have been in Afghanistan. The Bush administration, frankly, deceived the American people..as it did with the WMD approach in Iraq. Only here it was that “the Taliban is in league with Al-Qaida” and is, therefore, partially responsible for the events of 9/11. Not true. In religious doctrine, both extremist groups did not agree. The Taliban had nothing to do with 9/11. But in the haste…and rush to war in Iraq, the US went along. We have yet to extricate ourselves from Afghanistan..and as the poppy fields bloom again there..we may yet have a War on Heroin if nothing else. But, secondly, what about the Korean “War”? The US started fighting there in 1950…65 years ago, SIX times the length of the Afghan war, and there is still NO peace treaty between us. We maintain military forces there, and occasionally shooting breaks out, and an American GI is killed. That’s war to me..even though Congress NEVER declared war, and as a fact, has not since the end of World War Two! While Congressmen swear an oath to uphold the Constitution, maybe they haven’t read the section on the power to declare war recently. Wars are tricky things..but if we are ever to understand them, and deal with them properly, the facts must be out there. Declaring any end to our “longest war” is no way to help America do that.